Efficient time tracking does not have to be annoying or time-consuming. We believe that time is too valuable to waste it on secondary activities. Spend time on the things that really matter. No matter where you are, we need one click to record everything you need. 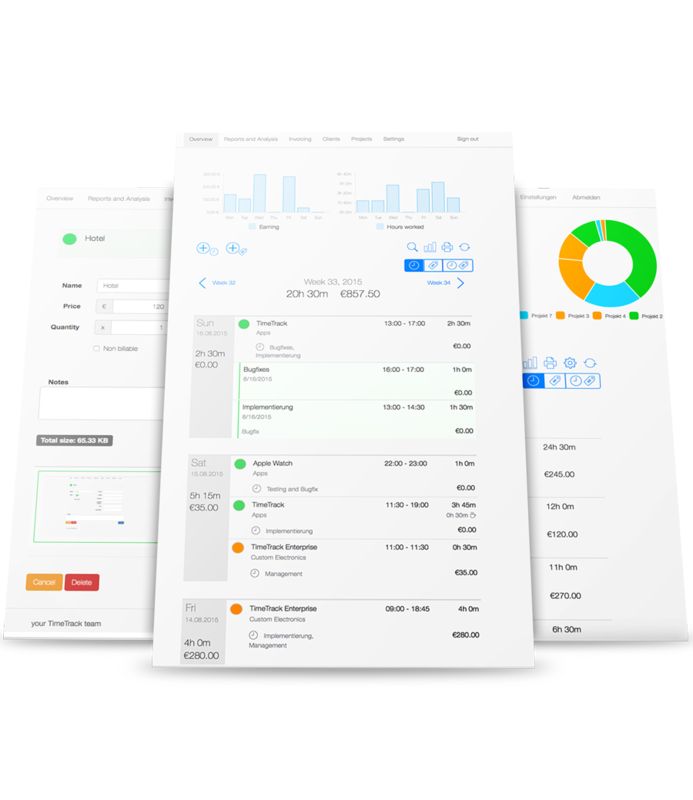 Simple and quick – we optimized the web app for all your devices and implemented additional features. You can track your projects manually or via our timer. In both cases, data is easily managed and editable. 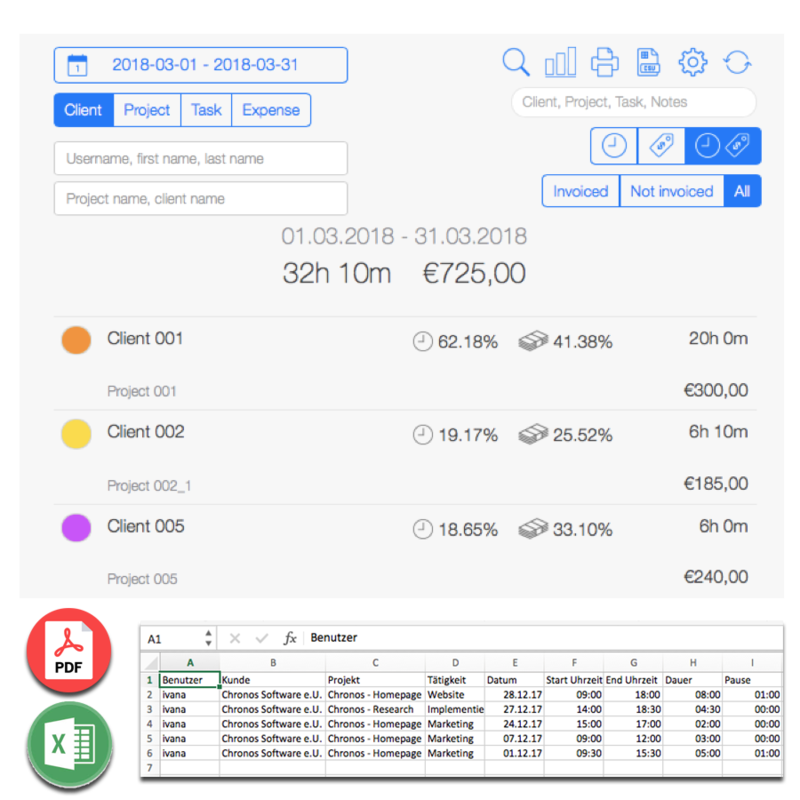 Also, we create reports and project evaluation within seconds, so that you continuously have an accurate overview of your projects. One click and the comings and goings of your employees are recorded and instantly displayed in the weekly overview. Our timer is user-friendly and time efficient. You can also adjust the recorded time manually. 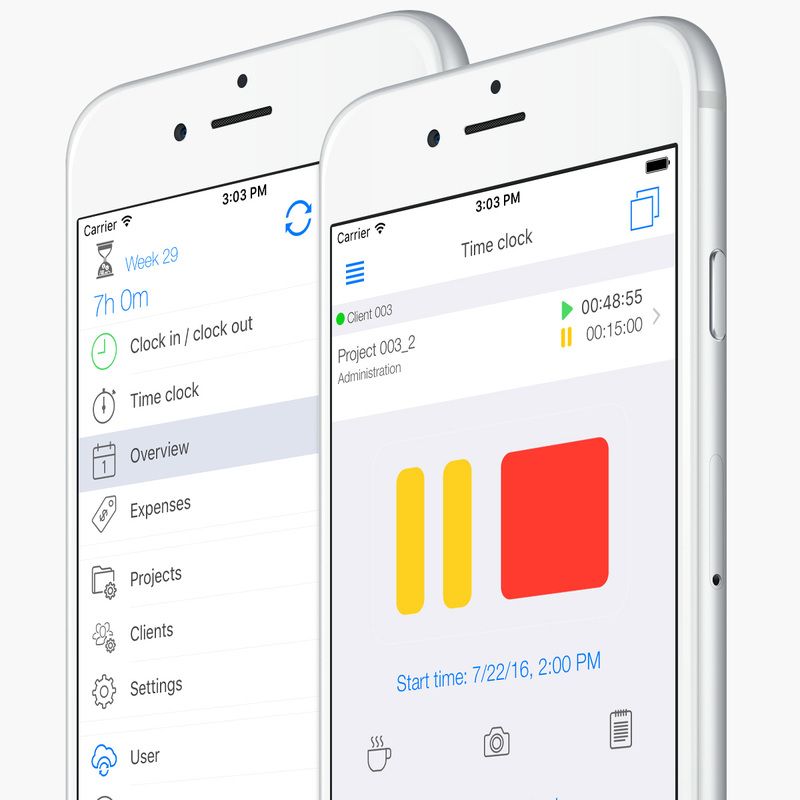 Mobile employee time tracking is the best way to track your working hours. You don’t even have to be even online. You can also record offline! 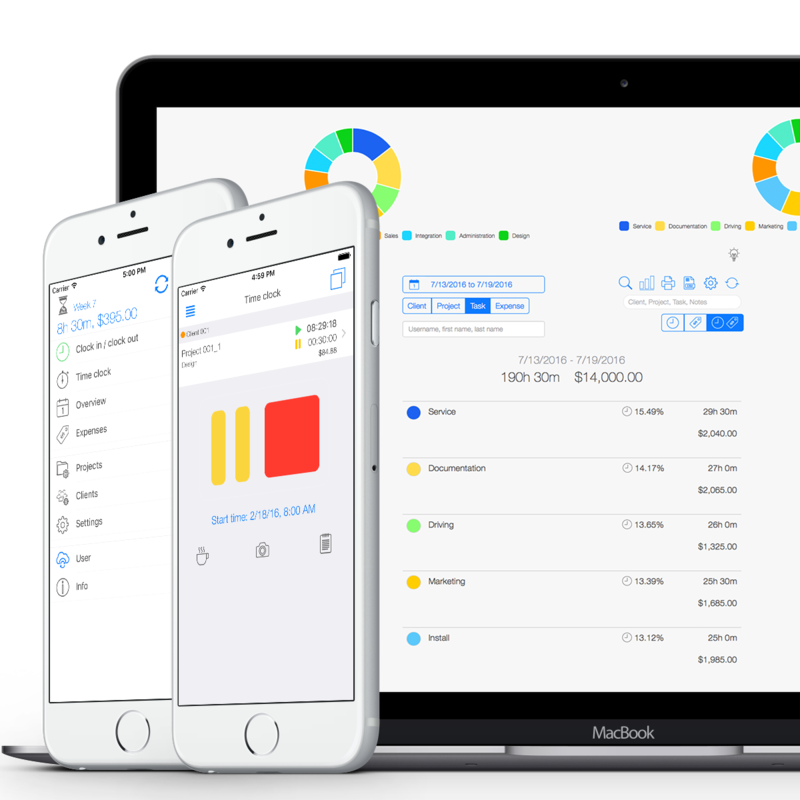 All the data is synchronized in real time, so that you can always keep up with your projects and workings hours. We believe that transparency is crucial for future improvements in every company. This is why all recorded working hours appear clearly in our reports and graphs. Use search and filter icons to create them faster. We like to use time efficiently. 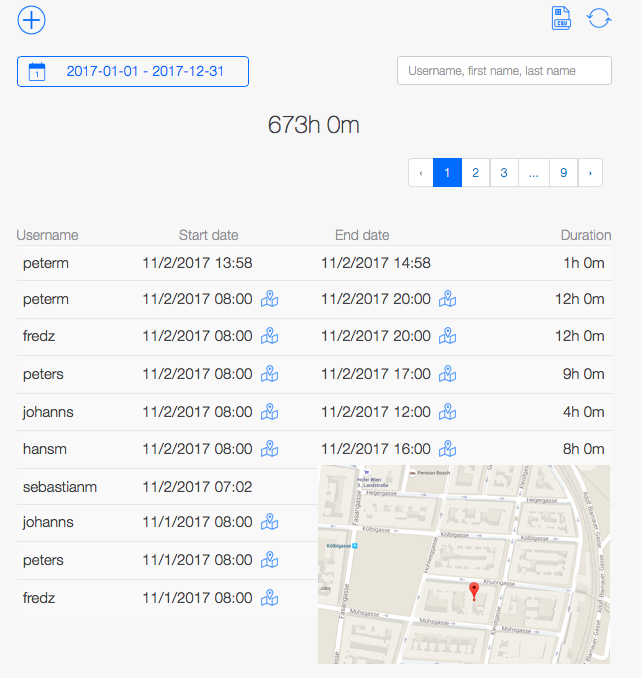 The timer records the working hours of the employees while on the go. We use a GPS tracker to indicate the location of the users. You should be able to easily keep up with the team and projects, even when you are in the office. Consequently, the information flow is easy and transparent between all team members involved. You can export your entries as pdf files or as csv/excel. Every manager will be more than pleased to use reports and analysis as pdf files for presentations. 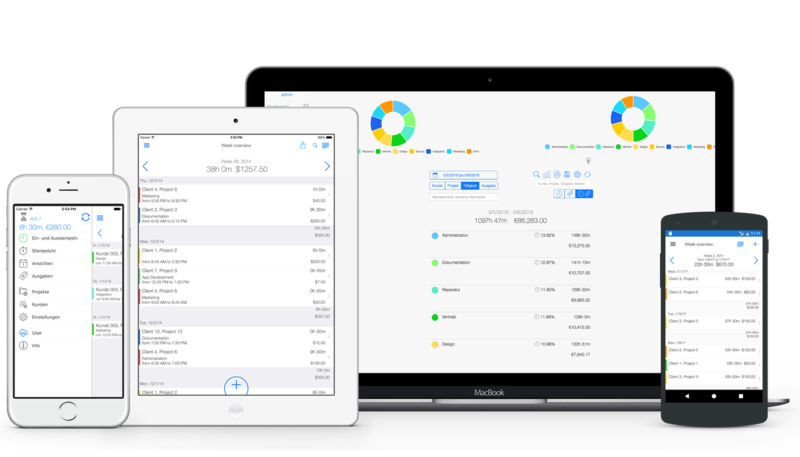 Exported csv files can eventually be reused in a third system – for accountancy or payroll accounting. We believe that time is too valuable to waste it on secondary activities. Spend your time on the things that really matter. Every company should have an easy employee time tracking tool, so that there is more time left for important tasks. We want to give you the perfect overview of your projects and improve your team’s working process. Together we can maximize the efficiency in your company.